How is every ones Saturday going? Mine is okay. The weather is nice but the little one still isn't feeling too well:(. 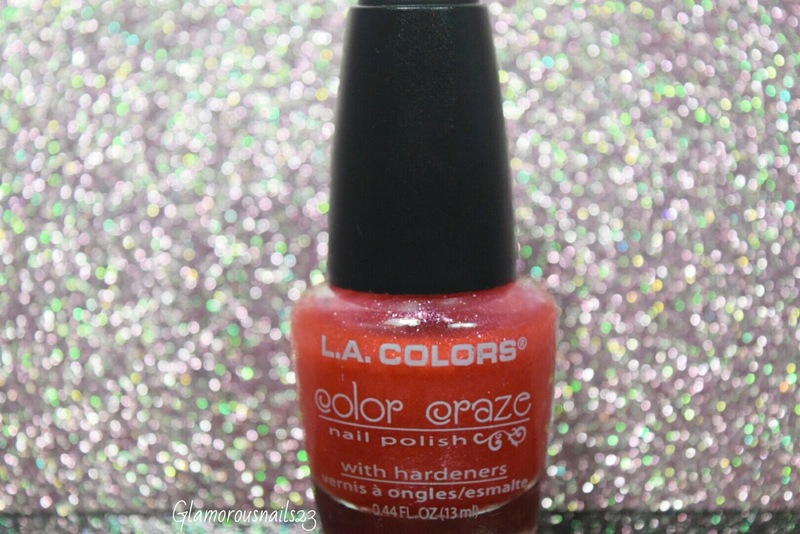 Today I wanted to share with you this polish from L.A. 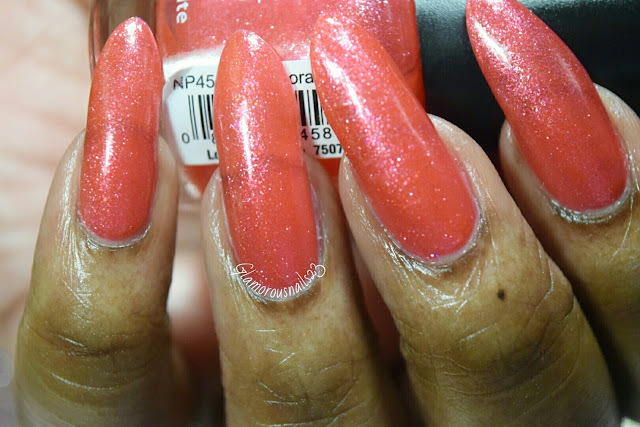 Colors Color Craze called Coral Reef. I picked this up from a bargain store near my house and for $2.00 why not. Let's just say I've got a lot of these cute bottles in my helmer just waiting to be used. 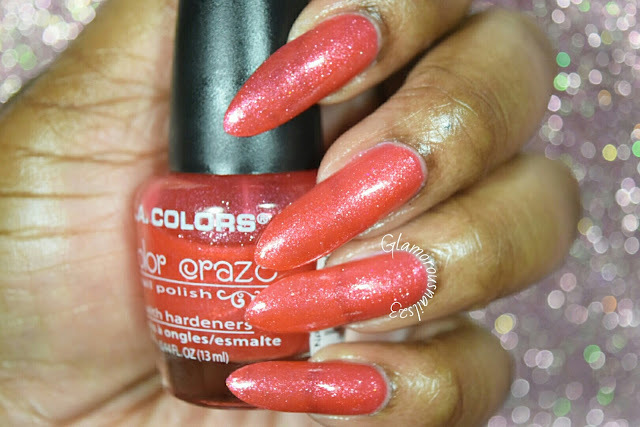 Coral Reef is a reddish-coral creme polish that contains silver micro-glitter. The polish is a little bit sheer but it's easy to work with. It's such a pretty polish. Seeing as it's a sheer one there was some VNL(visible nail line) but it didn't bother me. Even though it is sheer it still gave good coverage. Also, it does dry matte but that's nothing that some top coat can't fix! In the pictures below I used three thin coats with a top coat. 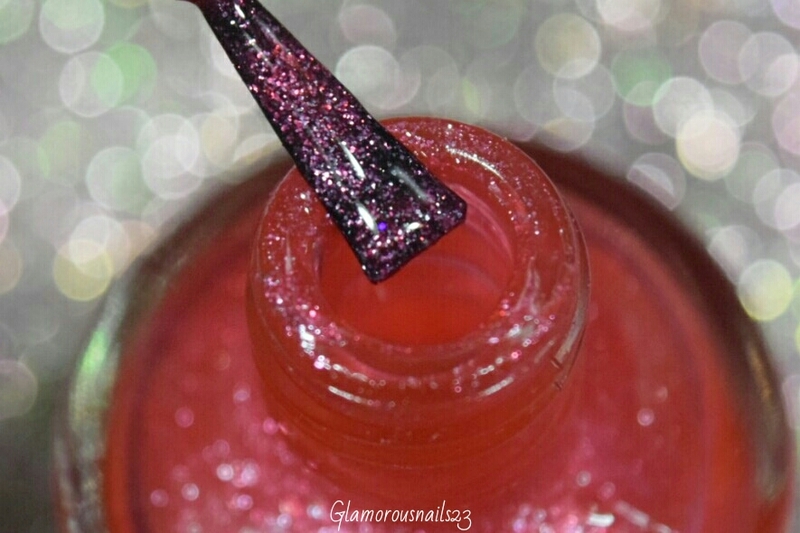 Here's a little close up of the polish on the brush. What did you think of this polish? Do you own any of the polishes from the L.A. Colors Color Craze line? Let's chat below!